Since you never know when a water-related emergency is going to strike, the water damage De Soto pros at 911 Restoration Kansas City Metro keep their offices open 24/7/365, so crews can get to your home within 45 minutes of receiving your call. Our De Soto water extraction professionals have many years of home restoration experience, so they know it is critical to act quickly. 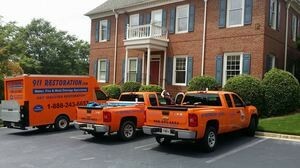 With access to the latest water removal and drying machinery, we know we can clear your home of all moisture, ensuring that no residual damages occur. 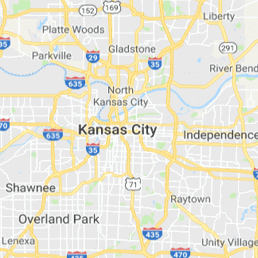 Call our licensed, bonded and insured water damage De Soto cleanup experts with 911 Restoration Kansas City Metro and we will get you started on the path to a fresh start today! Most homeowners are not aware that multiple issues can arise from one type of water emergency. For example, if your home experiences a pipe burst that causes your drywall to become soaked, then that moisture can lead to a mold infestation, which can cause health issues in those living inside the home. 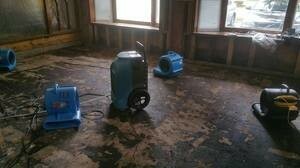 In order to avoid this type of situation, our De Soto water removal technicians will begin same day services, including water extractions and dehumidifying, for all urgent matters involving water. 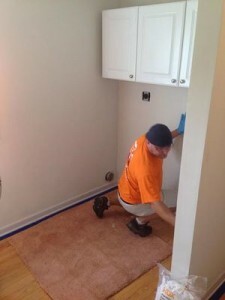 Your safety is most important to us, so you can be sure that our plumbing techs will do all they can to keep your living space a happy and healthy home environment. Call our water damage De Soto team with 911 Restoration Kansaas City Metro and we will make sure you receive the water damage restoration services you deserve today! When your home is affected by a flood or a leak, after calling 911 Restoration Kansas City Metro, it is important to get ahold of your insurance company. If you have a standard homeowner’s insurance, then certain types of water damage might be covered, but it may be necessary to purchase supplemental flood insurance to cover all your bases. We want to help you get the most coverage your policy offers, so our De Soto flood cleanup technicians will take over the whole process for you, allowing you to have peace of mind when it comes to the financial side of things. We have been working with insurance companies for a long time, so we know exactly how to file your claim to get you the coverage you need. Do not wait to reach out for assistance after water has damaged your home. Call our water damage De Soto experts with 911 Restoration Kansas City Metro and qualify for a free home inspection today!